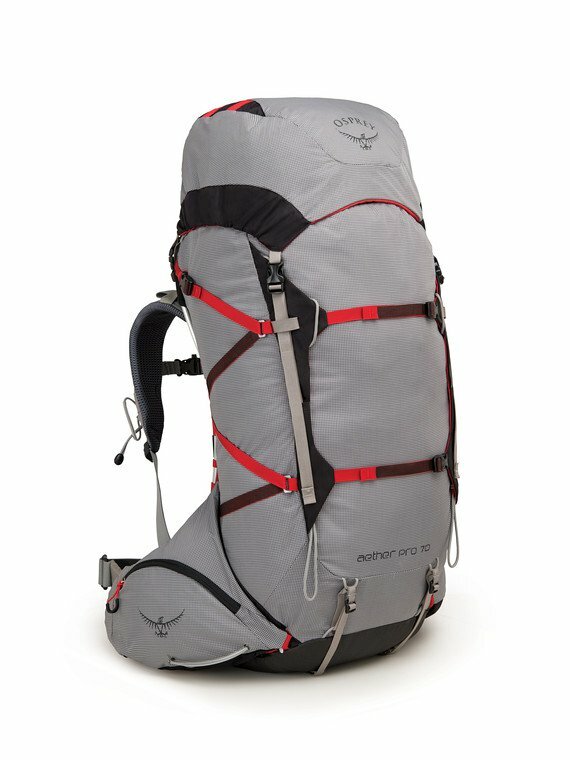 "Ospreys stripped down, streamlined and svelte Aether Pro 70 is made for type-two adventures that span days or months; alpine climbing expeditions with remote basecamps, or boundary-pushing thru-hikes through unknown landscapes where the only trail is the one you make. WIth one zipper and strengthened hardware, this pack provides worry-free dependability. The hipbelt and harness are interchangeable, and the hipbelt can be custom molded to achieve a fit that's as perfect as this pack. No matter how far you go, the Aether Pro is backed by our All Mighty Guarantee, forever. HIGH PERFORMING DESIGN: Stripped down, lightweight, lean and mean for moving fast and getting the job done. Built with rugged dependability to keep you moving strongly toward your objective, no matter how big. CUSTOM MOLDING: They do not just carry heavy loads well, they fit bodies of all shapes and sizes. Interchangeable harness sizes coupled with heat-moldable hipbelts provide the most outstanding fit and comfort possible. LG 4455 in3 / 73 l | 36.22h x 17.72w x 14.57d in. | 4.06 lbs."